Cost effective – Integrates with existing plant equipment for quick tool changes, minimal downtime. 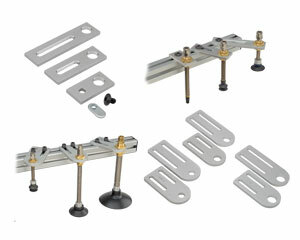 components or complete EOAT. Contact Bimba | Vaccon by phone, email or Live Chat. Looking to design a collaborative robot solution? Robotiq's Collaborative Robot Ebook is an excellent resource that compares the major collaborative robots to help you select the correct robot for your application. When designing your robot, don't forget to take the EOAT weight into account when determining the payload.